Lionel Pincus and Princess Firyal Map Division, The New York Public Library. "Columbia Co." The New York Public Library Digital Collections. 1873. In 1799, the New York State legislature authorized the creation of the the Columbia Turnpike Corporation "for improving the road, from the city of Hudson, to the line of Massachusetts, on the route to Hartford." The Columbia Turnpike was constructed, which more or less followed today’s routes 23 and 23B. It was the first turnpike in Columbia County and the fifth in New York State. The legislature also gave the right of the Corporation to use existing roads and approved the construction of three toll houses, spaced about ten miles apart. The revenues from the tolls paid by travelers covered the cost of construction and ongoing maintenance of the turnpike. The Corporation attracted 13 “incorporators” or main investors. Capital stock was set at $25,000. The charter provided that incorporators were to pay $25 per share of stock and subscribers, $10. After the sale of 400 shares, with the total limited to $1,000 shares, election of officers was to take place. 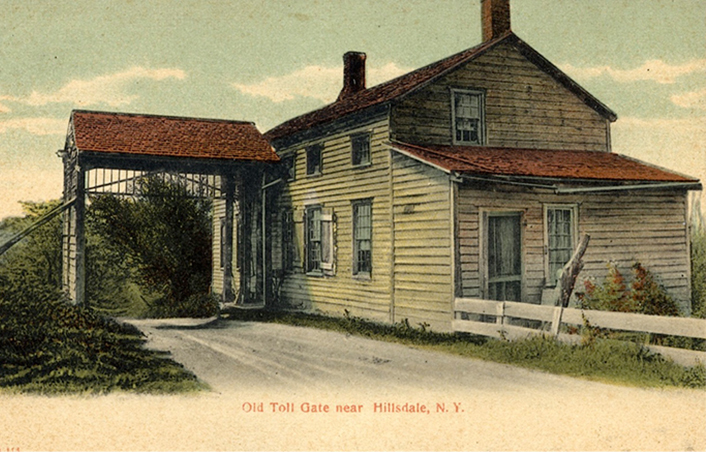 The three toll houses were known as the East Gate, in Hillsdale; the Middle Gate, in Martindale; and the West Gate, in Greenport. The turnpike operated until 1907. The East Gate Toll House was a private residence for generations until it was acquired in 1970 by Eldena Jenssen, who intended to preserve the venerable old building. 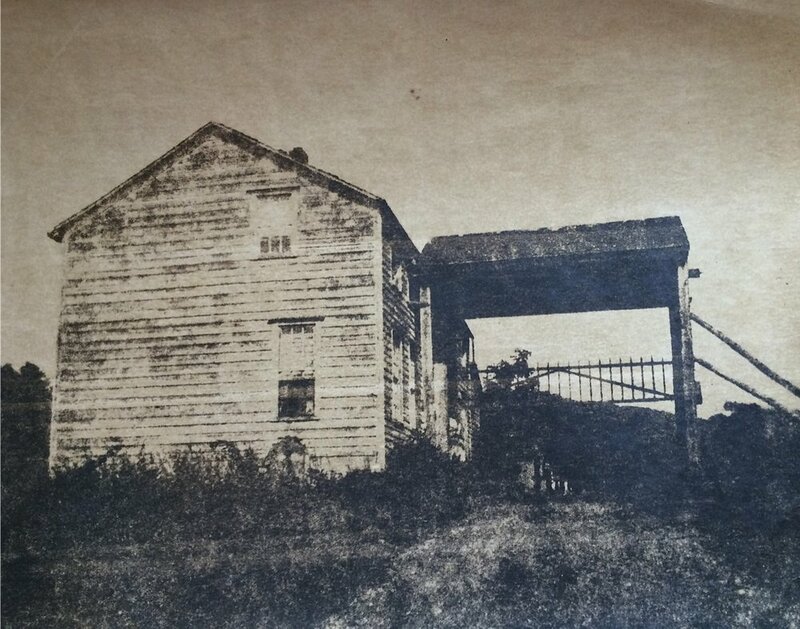 Thanks to a generous donation from Copake Falls resident Edgar Masters, Friends of East Gate purchased the toll house from the Jenssen family in late 2016. The East Gate Toll House was listed in the National Register of Historic Places in June 2016. New York legislature passes a bill to establish the Columbia Turnpike Corporation, which created a usable road from the City of Hudson to the Massachusetts border. The East Gate Toll House is built along with the Middle Gate and West Gate Toll Houses. After 108 years of operation, the East Gate Toll House is closed. Columbia County buys the rights from the Turnpike Corporation. Two generations of the Decker family occupy the house. The East Gate Toll House is acquired by Eldena Jenssen. The house is inhabited off and on for the next twenty years. The East Gate Toll House is added to the State and National Registers of Historic Places. Friends of East Gate is formed and acquires the Toll House from the Jenssen family, thanks to a generous donation from Edgar Masters of Copake Falls. Friends of East Gate launches its mission to save the Toll House. Building stabilization work completed. Historic marker installed, courtesy of the William G. Pomeroy Foundation.